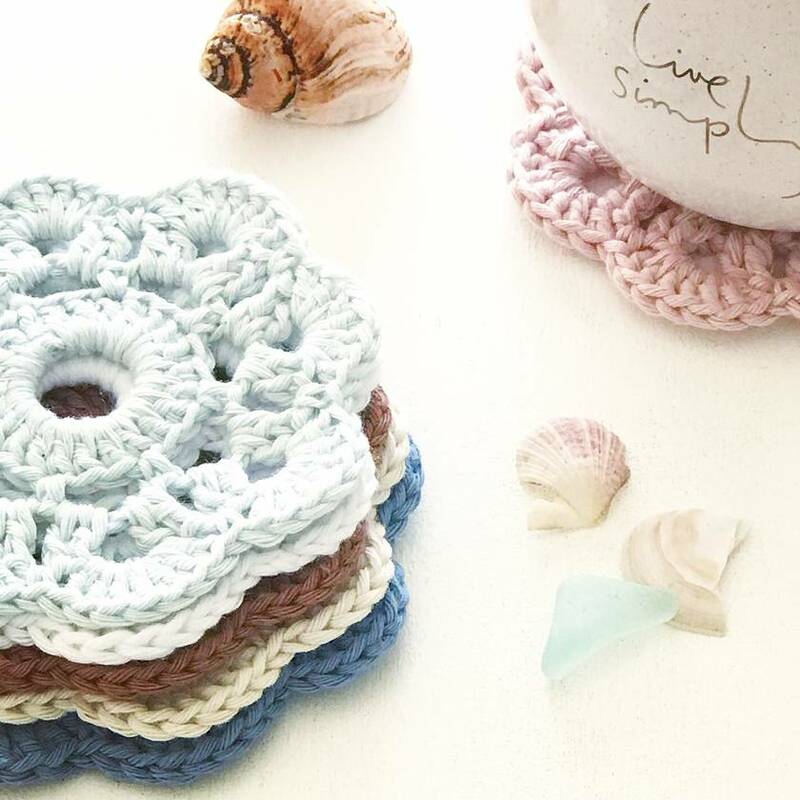 A beautiful set of 100% cotton coasters in soft seaside shades of sea mist, sand, deep sea blue, dusky shell pink, driftwood & foam white. The gorgeous colours would look equally beautiful in a seaside style Home, or a modern Home. The perfect Home warming gift, or treat your own Home to a stylish little pressie. They also look pretty stacked up in the bathroom within easy reach to use as makeup removers/face scrubbies....being 100% cotton and reusable, they’re eco-friendly and bring a little luxury to an everyday task. 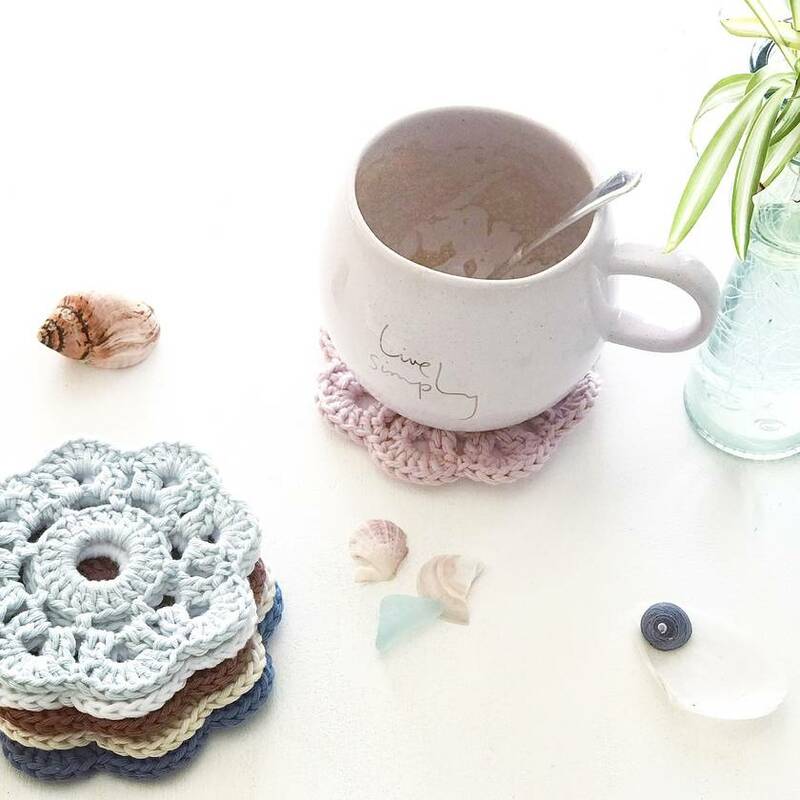 Each coaster measures approx 12cm in diameter. 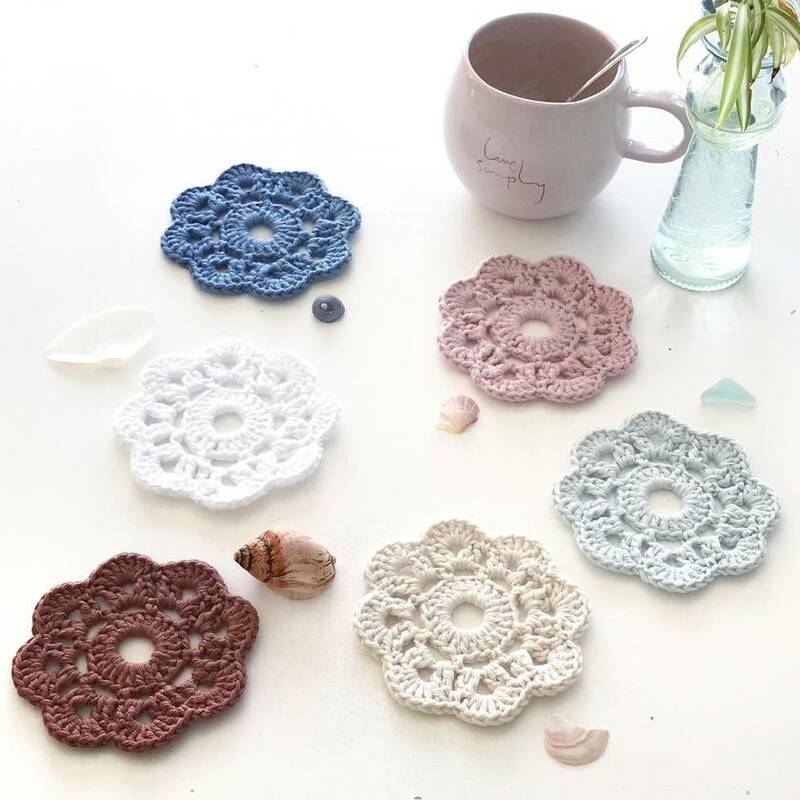 Please note: this listing is for x1 set of 6 coasters....all other items in the photos are for display purposes, and are NOT included in the sale.